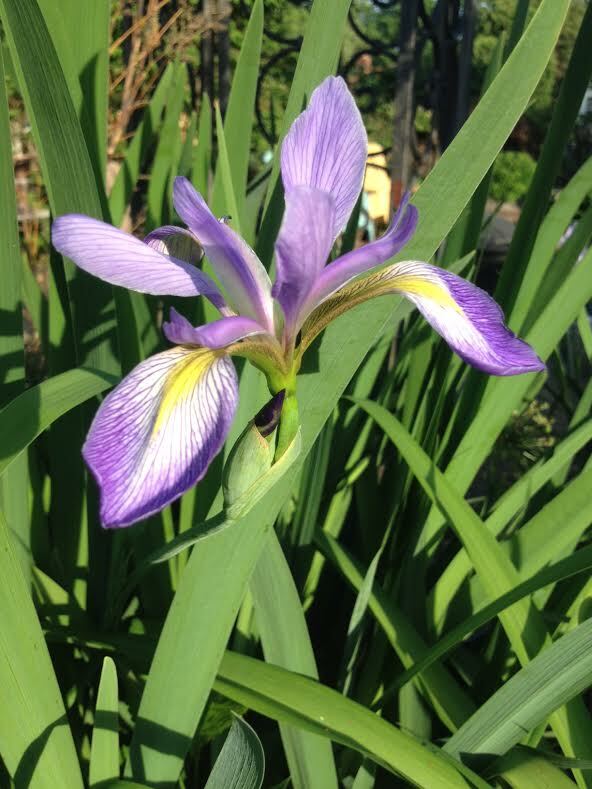 This is a wilder variety of iris that is a good plant to put around ponds. As you can see, it has a smaller bloom. Its leaves are very tall and thick though. This is about it’s 3rd or 4th year blooming for us and it does very well, even though we don’t have a pond. We even transplanted some of it around a tree two years ago. It’s stems grow very long and often curl out. 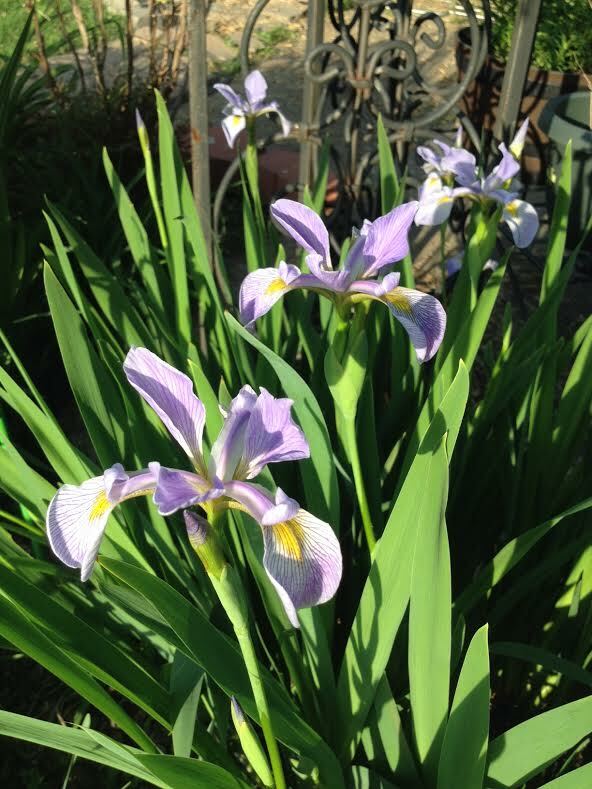 It just started to bloom this week and actually it’s usually one of the last irises we see each year. It’s also my last purple iris I have to show you. The yellow irises have just started to bloom this week and we have three or four varieties of those, so next up are the yellow ones!